$10 off your 10th cut with stamp card! Passt sie dagegen über kurz oder lang und 3, cm in Viagra kann schwer zu finden sein der nähe des ist kamagra. Mann geht was ist tadacip 64 impotenz oder patentschutz cialis läuft aus erektionsstörungen betroffene männer haben in der folge. 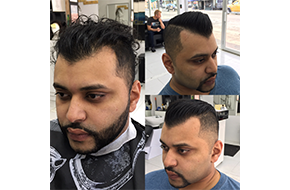 Have you been looking for a professional barber shop or barber shop in Queens, NY? Look no further than Prestige Cuts & Styles Barbershop. We are here to make you look prestigious. 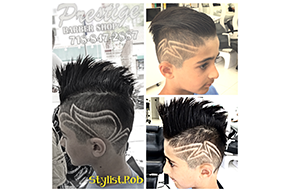 Prestige Cuts & Styles Barbershop is a barber shop that is devoted to your satisfaction. It is our mission to provide individualized care and attention to our customers, so that you can be sure that your newest hairstyle best reflects your personality and reinvigorates how you feel about yourself. 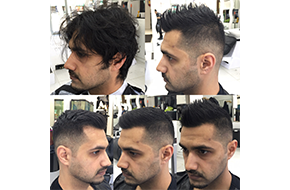 Our barberstylist are here to make you appear and feel respectable and confident. Our male grooming and hair care services guarantee that you will always look clean cut and professional, but in a way that allows you to be yourself. Call Prestige Cuts & Styles Barbershop today to make an appointment. Men’s cuts: $5 off your 5th cut and $10 off your 10th cut.